The objectives of this study were to assess the reporting quality of randomized controlled trial (RCT) abstracts published in leading laser medicine journals and investigate the association between potential predictors and reporting quality. 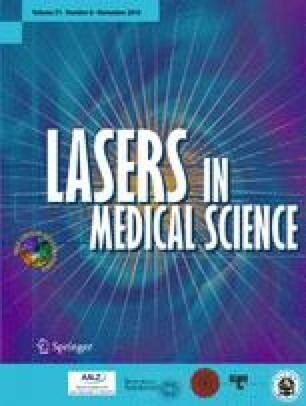 The official online archives of four leading laser medicine journals were hand-searched to identify RCTs published in 2014 and 2015. A reporting quality assessment was carried out using the original 16-item CONsolidated Standards Of Reporting Trials (CONSORT) for Abstracts checklist. For each abstract, an overall CONSORT score (OCS) was calculated (score range, 0 to 16). Univariable and multivariable linear regression analyses were performed to identify significant predictors of reporting quality. Chi-square (or Fisher’s exact) tests were used to analyze the adequate reporting rate of each quality item by specialty area. A total of 129 RCT abstracts were included and assessed. The mean OCS was 4.5 (standard deviation, 1.3). Only three quality items (interventions, objective, conclusions) were reported adequately in most abstracts (>80 %). No abstract adequately reported results for the primary outcome, source of funding, and status of the trial. In addition, sufficient reporting of participants, outcome in the methods section, randomization, and trial registration was rare (<5 %). According to multivariable linear regression analysis, the specialty area of RCT abstracts was significantly associated with their reporting quality (P = 0.008). The reporting quality of RCT abstracts published in leading laser medicine journals is suboptimal. Joint efforts by authors, editors, and other stakeholders in the field to improve trial abstract reporting are needed. F.H. is a recipient of the President’s Doctoral Scholar Award from The University of Manchester, but this study had no explicit funding. The funding source had no involvement in the study design; collection, analysis, and interpretation of data; preparation of the manuscript; or decision to publish.